Donald Trump has yet to meet with the prime minister of the United Kingdom — arguably the closest ally of the United States. He has found time to meet with representatives of Britain’s Lets-Play-Footsie-With-Fascists UKIP party including its well-dressed proto-fascist leader, Nigel Farange. In that meeting Hair Führer focused on what really matters in the trans-Atlantic alliance. [Andy] Wigmore, who coordinated the communications effort for the push for Britain to leave the European Union, told The Express and the New York Times that Trump asked them to oppose new wind farms…. 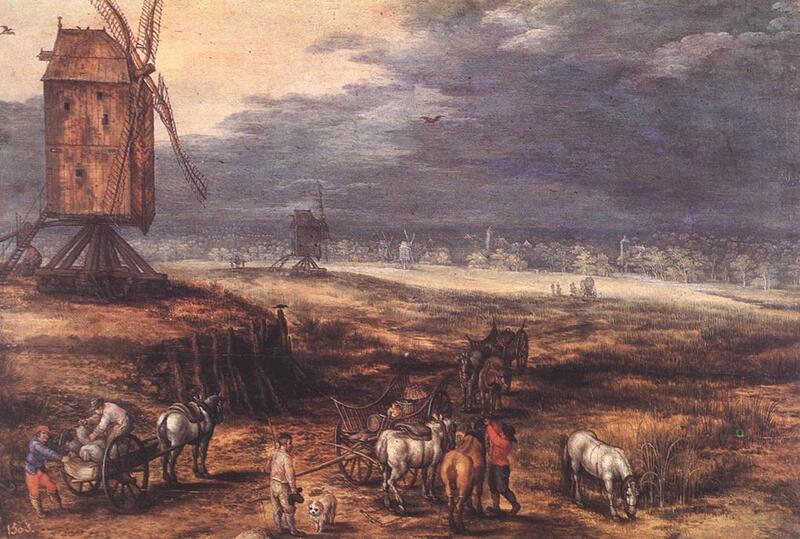 Rich guy doesn’t like looking at windmills. Rich guy manages to grasp real power. Rich guy starts f**king with other nations’ energy policy, land use decisions and the rest because…he can. Welcome to the post policy presidency. Trump has no idea what energy mix makes sense and he doesn’t care. Just doesn’t like looking at turbines. So lose the buggers, amirite! Wigmore said that Trump “did suggest that we should campaign on it” and that the conversation “spurred us in and we will be going for it,” according to the New York Times. Going for it, in this case, meaning that a party and a leadership roundly loathed in Scotland will argle bargle pwfft or something. But gotta stroke the ferret-heedit shitgibbon, and talk is cheap. Trump spokeswoman Hope Hicks denied to the New York Times that Trump discussed wind farms during his meeting with Farage. When the Times told Hicks that Wigmore gave an account of the wind farm discussion, Hicks did not respond with further comment, according to the Times. With every passing day it becomes yet more clear that there is no way that Donald Trump can handle the presidency. With each passing day his presidency draws closer. 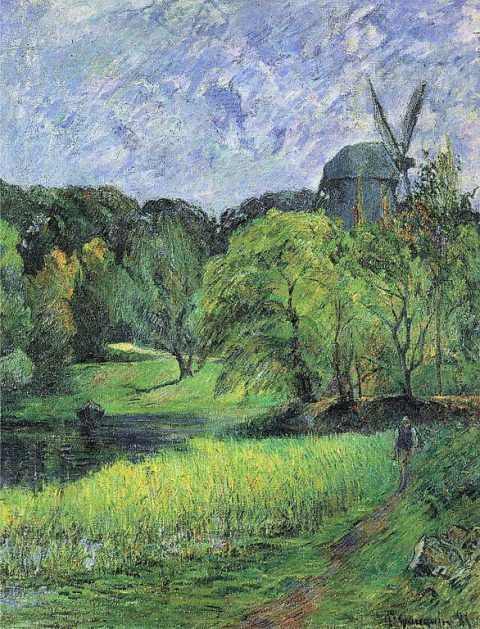 Image: Paul Gauguin, The Queen’s Mill, Østervold Park, 1885. Do Organic Kitties Dream of Radioactive Sheep? Someday — soon, I hope — I’ll get back to writing some meatier stuff. Today ain’t that day. In February, a 55-gallon drum of radioactive waste burst open inside America’s only nuclear dump, the Waste Isolation Pilot Plant in New Mexico. Now investigators believe the cause may have been a pet store purchase gone bad. “It was the wrong kitty litter,” says James Conca, a geochemist in Richland, Wash., who has spent decades in the nuclear waste business. Wait! Pet litter? Isotopes? Kitten Strangelove? Cat litter has been used for years to dispose of nuclear waste. Dump it into a drum of sludge and it will stabilize volatile radioactive chemicals. The litter prevents it from reacting with the environment. Excellent! It is both a dessert topping and a floor polish. But what went wrong? “Now that might sound nice, you’re trying to be green and all that, but the organic kitty litters are organic,” says Conca. Organic litter is made of plant material, which is full of chemical compounds that can react with the nuclear waste. But don’t blame Alice Waters or the slow food movement. Ultimate responsibility for the safe disposal of radioactive waste falls to the Department of Energy. Oh — and one more thing. There are over 500 barrels that were likely packed with the wrong stuff. Precautions are being taken, but dang…. 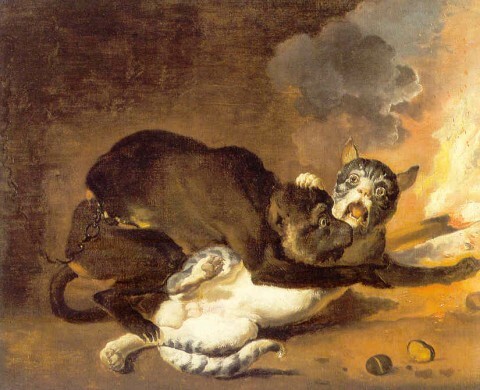 Image: Abraham Hondius, The Monkey and the Cat, 1670. I ran across news of a minor skirmish in the war to save/destroy America, but I guess it’s worth transmitting, since this time the good guys won. The first stage of the standards, which will be phased in from Jan. 1 through 2014, requires bulbs to be 25 to 30 percent more efficient. The second stage could require bulbs to be 60 percent more efficient by 2020. The law includes exceptions for specialty lights, like candelabra lamps, three-way bulbs and black lights. When Congress acted in 2007, many people assumed the incandescent bulb was on its way out. But electric companies have since invested in new technologies that increase bulb efficiency. So: the GOP is now on record favoring an increase in energy costs for American households — call it a hidden tax — to the tune of at least $6 billion and perhaps as much as $12 billion — an estimated $50-$100 per household — by 2015. Not to mention a reduction in energy usage equal to the output of approximately 30 power plants. The good news, though, is that today’s vote allows me to use a phrase I just learned in connection with the Murdoch scandal: 17 Republicans who voted to repeal these standards have pulled the classic reverse ferret manouver made famous in British tabloid newsrooms. Uh, Mr. Upton? Please see that quote above. You know, the one about electric companies investing in efficient technologies in the context of these new standards. This would ordinarily be the point at which I shout “Moron!” — except there’s a peculiar elegance to Upton’s utterly unapologetic volte face. It takes a particular skill, or quality of self loathing, to shed one’s cloak so swiftly and so utterly. Even the East German judge would have to give the man a 9.3. It’s Joe Barton, he of whom Molly Ivins would have extended her historic snark that went along the lines of “if he were any dumber they’d have to water him twice a day.” But still, stumping on the great federal light bulb conspiracy is pretty good, even for him. Next, you know, they’ll be telling folks to keep e. coli out of tomatoes! These are the people running a big chunk of our government. Or rather, given today’s re-confirmation of the obvious, running away from actually governing. That’s why you get nonsense like this, wholly symbolic legislation brought up under rules that ensured it wouldn’t even live to die in the Senate. Oh — and one more thing: once again we learn what laser-like focus on job creation looks like — when clowns, con-men and cretins lead the fight. 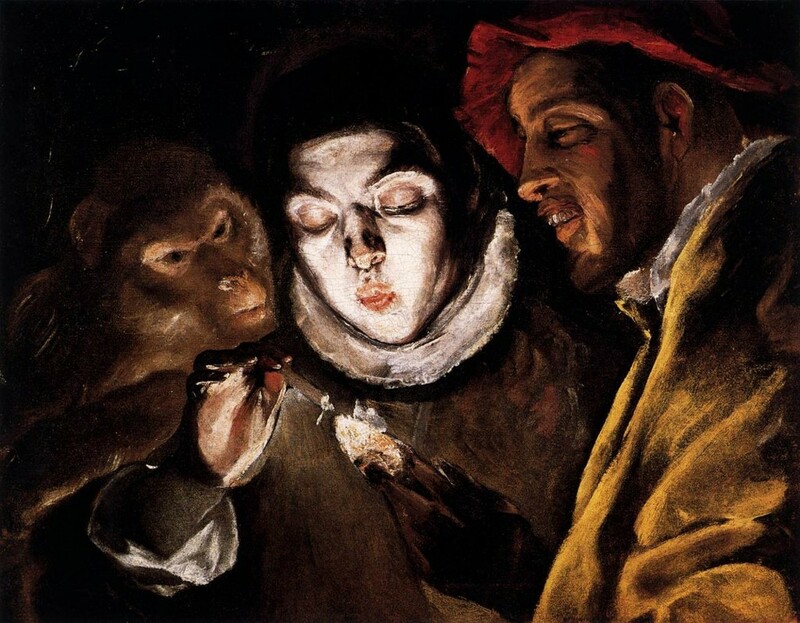 Image: El Greco, An Allegory with a Boy Lighting a Candle in the Company of an Ape and a Fool (Fábula), c. 1600. Not much blogging to come (will anyone be able to tell the difference?–ed.) this week, as I’m writing this from Doha, Qatar, where the biennial World Conference of Science Journalists is about to begin. One high-definition DVR and one high-definition cable box use an average of 446 kilowatt hours a year, about 10 percent more than a 21-cubic-foot energy-efficient refrigerator, a recent study found. These set-top boxes are energy hogs mostly because their drives, tuners and other components are generally running full tilt, or nearly so, 24 hours a day, even when not in active use. The recent study, by the Natural Resources Defense Council, concluded that the boxes consumed $3 billion in electricity per year in the United States — and that 66 percent of that power is wasted when no one is watching and shows are not being recorded. That is more power than the state of Maryland uses over 12 months. That set-up: the HD box and recorder, can add ten bucks or more per month to a household electricity bill, but the drain isn’t obvious, because the damn things are always on. 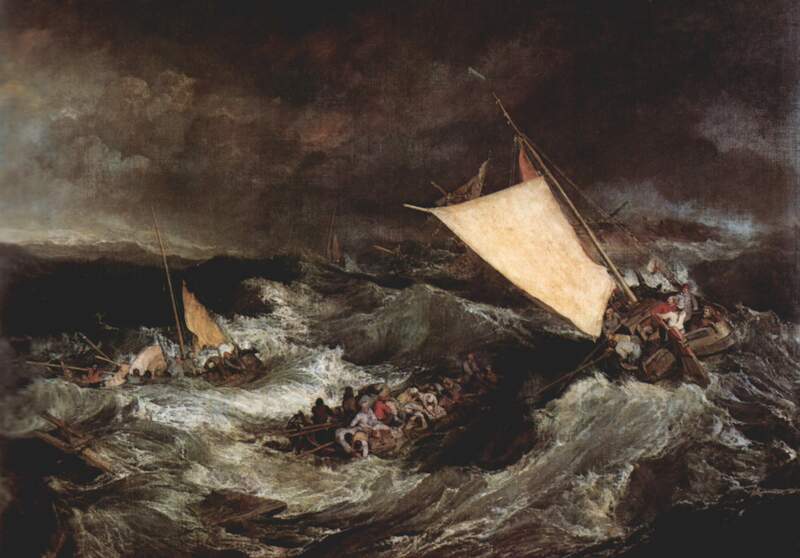 It was said of Pythagoras that he was the only man who could hear the music of the spheres; the rest of us were so accustomed to it, having been cradled in such harmony from womb to grave…and so it is with that 60 cycle hum, or its metaphoric equivalent. We can’t monitor that whose absence we’ve never known. The perpetually “powered on” state is largely a function of design and programming choices made by electronics companies and cable and Internet providers, which are related to the way cable networks function in the United States. Fixes exist, but they are not currently being mandated or deployed in the United States, critics say. But energy efficiency experts say that technical fixes could eliminate or minimize the waiting time and inconvenience, some at little expense. Low-energy European systems reboot from deep sleep in one to two minutes. But as of Sept. 1, typical electricity consumption of Energy Star qualified products would drop to 97 kilowatt hours a year from an average of 138; and then by the middle of 2013, they must drop again to 29 kilowatt hours a year. Companies have fought the placement of the “Energy Star” seal on products and the new ambitious requirements, which may still be modified before enacted. But of course, it isn’t just bad software and slothful, oligolopolist greedoid big Cable that’s to blame. 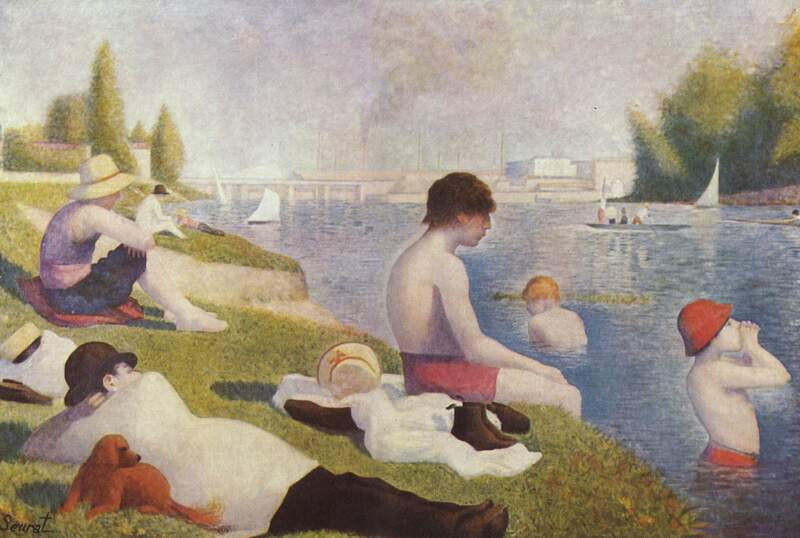 There is a pattern of trading energy efficiency — conservation — for other pleasures. The internal combustion engine of 2011 is a vastly more efficient machine that that of the 1973 oil crisis — but the power numbers for just about every car have shot up relative to comparable categories of automobile from thirty and forty years ago, wiping out much of the efficiency gain. Here, we like having zero time-lag when we wish to couch-potato. While we enjoy the latest episode of whatever, we are heading for real trouble with our energy sector. Global climate change is some ways — well, not the least of it — but the effect that we’ll notice second or third, well after we’re wondering why it costs so much to live like an American. There is a response, of course. 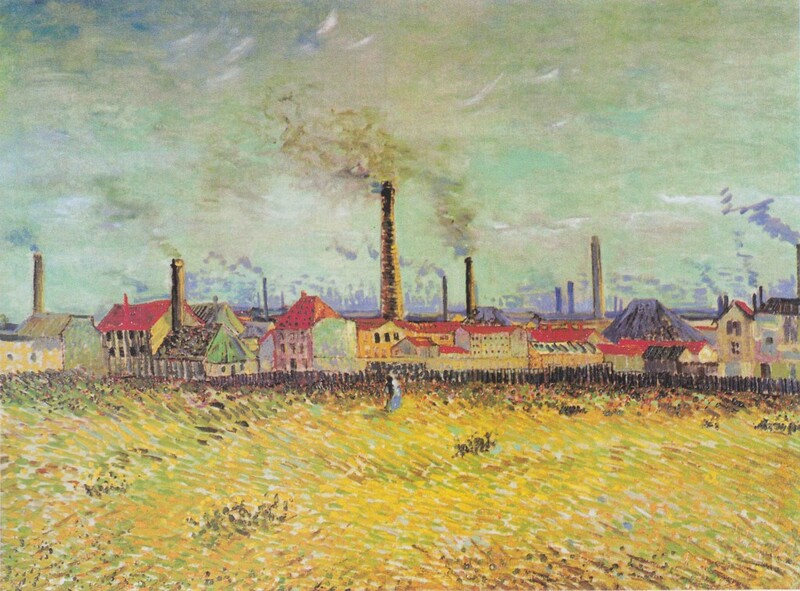 We could try real conservation — actually building energy efficient structures and tools and transportation systems, which, if implemented — with tech that exists right now — would represent a meaningful step towards an energy demand that an alternative energy mix (that would for decades + still include stuff we burn) could plausibly meet. It would indeed mean changes in habits and cultural practices — and those are very hard to achieve, I know. But consider the alternative. If we don’t, then when the rest of the world — and our kids — ask us what the hell happened, we’ll have to tell them we were too anxious to start watching Survivor to stop and think. *H/t science writer Jon Cohen, for reminding me of that old gem. That would be DFH’s like Assistant Secretary of Defense Sharon Burke. Though the official price of a gallon of fuel within the military is set at $3.03, Burke said that the actual cost of fuel delivered, depending on the difficulty transporting it and protection needs, can be as high as $50 a gallon. Burke told a story of tent usage in Iraq. One large tent used as a gymnasium required six generators to power the air conditioning, and even then the temperature was only lowered to 90 degrees. The problem, of course, was that a tent isn’t insulated well, so much of the cooling was lost to the desert. “People were dying so we can vent our air conditioning to the desert,” Burke said. The average U.S. soldier on a 72-hour patrol carries between 10 and 20 pounds of batteries. There are seven kinds of batteries that power flashlights, GPS devices, night-vision gear, and other equipment considered essential for the modern soldier. Including spares, a soldier lugs 70 batteries, along with the devices themselves, weapons, food, water, and other necessities. The soldiers’ battery burden is just the tip of the military’s energy problem, Burke said. Heavily armored vehicles get just 4 miles per gallon. Air conditioners, computers, and other equipment at forward operating bases are powered by inefficient generators, at an enormous cost in fuel, requiring constant resupply. Delivering the fuel to where it is needed requires soldiers to protect the ferrying convoys, and costs both money and lives. In Afghanistan, a company of soldiers is testing energy-saving technology in a frontline situation, relying on solar panels on tents, solar-powered lights, and stand-alone solar panels to recharge batteries — together cutting the company’s generator fuel consumption from 20 to 2.5 gallons a day. That drop means fewer fuel convoys which, in that part of Afghanistan, are almost certain to be attacked. 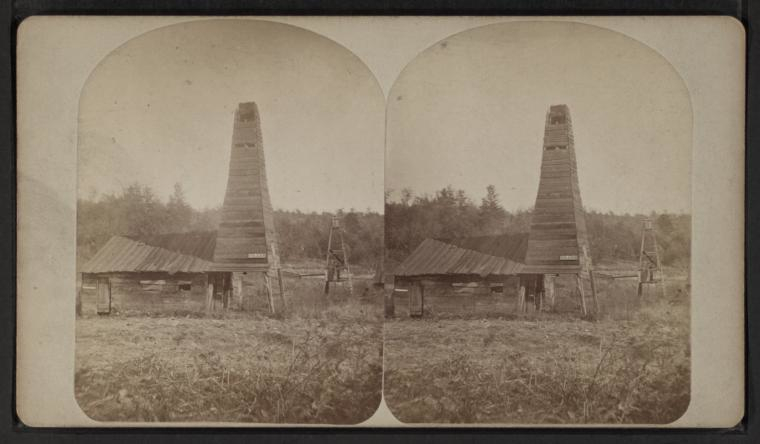 This, of course, runs directly counter to what Real Americans know about energy. Part of the GOP conspiracy to accelerate the decline and fall of the United States includes a state-by-state level assault on alternatives to fossil fuels. The Senate confirmed Burke to the job in June, after she came under initial fire from Oklahoma Sen. James Inhofe (R) for her apparent support of a 2007 law that bars federal agencies from buying alternative fuels that have higher greenhouse gas emissions than conventional fuels (ClimateWire, March 25). Props to the Obama administration and to the DOD for taking action here…and, as always…. 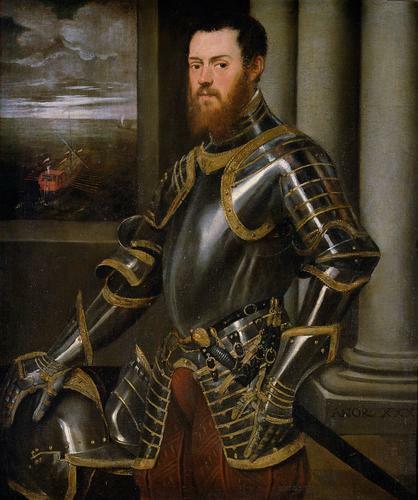 Image: Jacopo Tintoretto, Young man in a gold-decorated suit of armour, 1555-1556.